In anticipation of his forthcoming album Lava Diviner (Truestory) which is set for release on 29 October through Western Vinyl, Texan beat-maker Botany has unveiled album stand-out track, Quatic. Bubbly synths flow against hard-hitting percussion with droplets of delicate sounds to create a song that shows you exactly what Botany is all about. 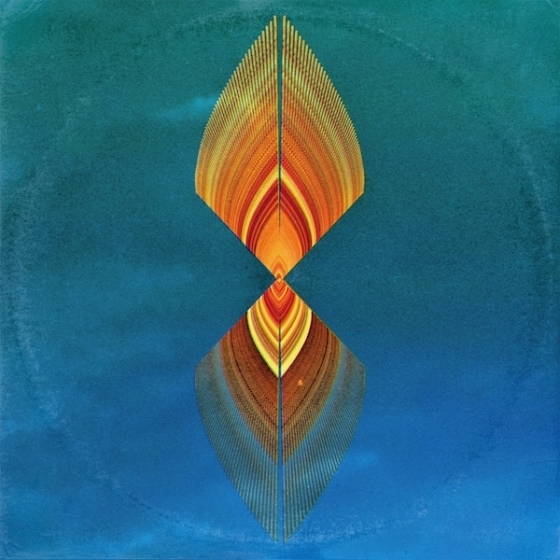 Similarly to the album, it provides a journey for the listener to explore some of the natural, mystical features of the earth. With his debut album Lava Diviner (Truestory) out on Tuesday, sonic shape-shifter Botany has also shared a special non-album song, Laughtrack, which was recorded in collaboration with Father John Misty (also known as J Tillman). As well as this, Botany has unveiled a full album stream of his upcoming debut LP through Dazed & Confused. Stephenson explains his influences for Lava Diviner: “On Lava Diviner, I wanted to conjure that same head space that artists like Roger Dean, and even Zdzislaw Beksinski, project in their iconic paintings. Following 2010’s quietly applauded Feeling Today EP, Lava Diviner (Truestory) was created at various Texas locations using a jumble of equipment, from aging desktop computers, samplers, guitars, bells, flutes, tape recorders, turntables, violin playing room-mates and much more besides. 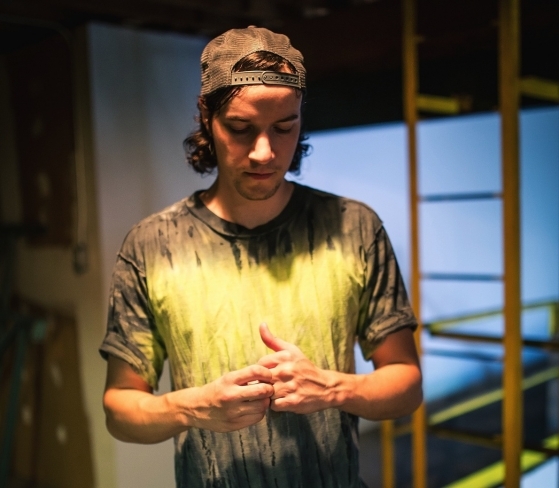 Guest vocals from Brainfeeder artist RYAT were added to the mix and the final creation was mastered by Matthewdavid (Leaving Records / Stones Throw). As the product of a lengthy gestation period, Lava Diviner (Truestory) follows Botany on an intensely personal journey as he makes his way home within himself, returning to his celestial centre. Loosely a concept album documenting a religious sect that prays for a volcano to erupt, Stephenson set out to make a kind of instrumental storybook of an album, using only the emotional tone that his theme might evoke. However, by the time the record was finished, it became clear that the emotional tone was really coming from hos own life, rather than any concept or allegory. “As work on the record progressed, I began to realise that the musical journey was a direct reflection of my most hard-to-quantify life experiences,” Stephenson explains. The volcanic sense of release is palpable. Lava Diviner (Truestory) easily moves past stale tropes of beat-based music, and brings to life a fully-realised, album-length outpouring of profound human emotion. Hailing from the Waikato region in New Zealand, which has also produced the likes of Kimbra, Crowded House and Avalanche City, Sound The Ocean have been making ripples internationally. The seven-piece band is comprised of music teachers that have been writing and recording music together for over two years. Spring is taken from their debut album, Wait For The Morning, which is due for release in early 2014. Spring is an uplifting, pop piano ballad about finding yourself and your true identity. The chorus, “Bursting at the seams I just can’t keep it in/Winter sin is gone and I can breath again” as well as all the other lyrics in the song such as “Long forgotten colours are throwing back their covers/Waking up/They’re slowly waking up/Melting frozen shackles/Resurrecting feeling/Step outside/I want to step outside…” show this. The song uses spring as a metaphor for rediscovering yourself and becoming happy once again. Spring sees nature gain colour and come back to life which is exactly what rediscovering your happiness does to you – you gain colour and start to appreciate life and live more fully. The video was shot at Woodhill Forest which is the same forest that provided the backdrop for The Chronicles of Narnia: The Lion, The Witch and The Wardrobe and Xena: The Warrior Princess. If you enjoy OneRepublic, The Killers, U2, Lifehouse or Keane then Sound The Ocean could be the new band for you. Uppercutter is available now as a digital single and on 7 inch. The other side of the single features a more frenetic post punk folk track, Visions. Both songs are from the band’s full length album Dark Arc which will go on sale in March 2014. With his new album, Lanterns, to be released on October 29, Son Lux shares a hip-hop reworking of his recent single, Easy which features LA rapper and producer Busdriver. Previous single, Lost It To Trying, previously reviewed on Rocking Republic, seemed ‘…possibly too experimental for some’. Easy shows more form and control in structure. It has a haunting appeal. The original version of Easy can be downloaded from Soundcloud. This dark, futuristic soul track lends itself with striking brilliance to what might sound like an incompatible collaboration. Busdriver has created not just a remix but an entirely different vision. In fact, it’s really impressive with rap and trance actually making sense. 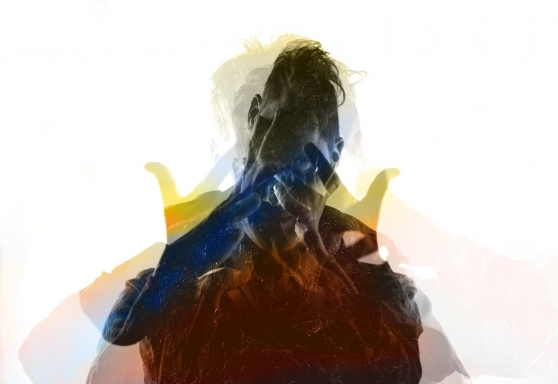 Recently noted both for his s/s/s project with Sufjan Stevens and Serengeti and for being named NPR’s “Best New Artist of the Year”, Son Lux can be hit and miss but he has definitely got something going on. In addition to CD and Digital, Joyful Noise Recordings are releasing 500 copies of a ‘colour in colour’ vinyl edition of Lanterns as well as 1200 copies of a ‘split colour’ vinyl edition. Each copy is hand numbered accompanied by a thumb print of Son Lux himself. Lanterns will be released on October 29. London-based band Little Death Machine release their new single, Velvet Skin. The band are also offering it as a free download on their website. Velvet Skin is the follow up to their previous single, Hit Me and slows the pace into a slightly more sinister world. The video, shot in black and white, is a perfect match of surprisingly good quality footage, cleverly cut with a narrative that keeps you watching. The torturer, an outwardly respectable suited chap, is a Colin Firth ringer who seems to want to put a stop to this kind of rebellious class music. Although dark in theme, the track is interesting and identifiable from the first play. The band are clearly intelligent and work to a depth that makes them stand out. They are playing at Electrowerkz, London on November 16. Try and catch them live if you can. As they are currently without PR, they could grow fast with PP (People Power). Walking into the dimly lit and minute cinema that is The Cube, it felt like a slightly strange location for a gig venue. The stage was tiny and there couldn’t have been more than 100 seats facing the stage. The old wooden chairs creaked as you sat down. The room was eery yet comforting. The Cube definitely has an atmosphere which leads you to have great expectations of what you’re about to witness. After everyone had settled in their seats, a man took to the stage. He sat at the lonesome desk in the centre of the stage, its only decoration being a Mac. This was the support act, Black Metal. He produced experimental, filmic music purely by the applications available on his Mac. Black Metal certainly set the mood for the weird yet wonderful Anna von Hausswolff. Anna von Hausswolff finally took her place behind her trusted organ after announcing that the reason why they were late was because they had got themselves lost in the city. Von Hausswolff began her set with Red Sun – a song whose beginning has a meditative effect with her vocals gradually appearing to create a fantastic atmosphere which was helped by the red mood lighting. Her vocals were soft and enchanting to start with but towards the end of Red Sun, her passion broke through introducing the beloved sound of those high pitched notes. Mountains Crave was the next song from her recent album, Ceremony, to be performed. Captivating and entrancing, Mountains Crave never fails to satisfy audiences. The drums on the record have always been a favourite but to see this song performed live gave it a whole new life. Hearing Anna von Hausswolff talk between songs was mesmerising. She is a dainty woman with long, flowing blonde hair. While playing the organ, she is a monster – an enthusiastic and possessed character – but when talking to her fans, she is sweet, gentle and charming. You can tell instantly when she begins playing that music is her one and only passion. Halfway through her set, Anna von Hausswolff explained to her dumbfounded audience the story behind the track, Harmonica. She explained that it had been written after the death of her inventor Grandfather. Von Hausswolff made the audience laugh when she explained that her Grandfather had invented the sausage machine – something which she felt needed to be explained with hand gestures and strange, squeaky sounds. After lightening the mood with her story about the sausage machine, von Hausswolff performed Harmonica which ended up bringing tears to your eyes. Her swooping vocals and emotion made this the outstanding performance of the evening, receiving a huge applause. It was a beautiful piece of work that exposed true emotion. Von Hausswolff treated her audience, on the last night of her European tour, to a new track, Come Wander With Me before she started to wind up the evening with the familiar and brilliant, Funeral For My Future Children. Funeral For My Future Children saw von Hausswolff really come to life – her feet were tapping frantically, her head bobbing uncontrollably and her vocals set the room alight, especially when she sang, “I’ll carry them/My children/I’ll carry them/To Death”. With the audience craving more, von Hausswolff and her band returned to the stage for one last song, Liturgy Of Light. Liturgy Of Light saw her pick up an acoustic guitar and sing like an angel. It was the perfect end to a perfect evening, leaving her audience in stunned silence before she exited the room. The influence of Molly Drake on her son’s music has always been referenced by reviewers and fans alike however her work has only ever surfaced on the 2007 Nick Drake compilation, Family Tree. Those songs; Poor Mum and Do You Ever Remember are both included on a 19 track self-titled Molly Drake album being released by Squirrel Thing Recordings. Comparisons will inevitably be drawn between Molly’s work and that of her son’s but these recordings stand up on their own. Rather than being compositions inspired by her son’s music and sad spiral into a fatal depression, these are home recordings from the 1950s when Nick would have been just a young child. However the similarity between mother and son’s vocal delivery is striking with both sharing a fragile, vulnerable quality that makes them sound like they are sitting right next to the listener, singing to you only. One of the many qualities that makes Nick Drake’s music so loved. Performed on the piano and sung in a smoky almost classical jazz voice that transports you back to the 1950s like an audio time capsule, fans of wounded singer Billie Holiday and other contemporaries will find much to love here. The production is intimate and unpolished, recorded direct to tape and disc in their Warwickshire home with help from husband Rodney, which suits the quiet, sweet mood of the songs. You can hear the creak of the old family piano and just imagine her young children sitting round her feet as she composed these lullabies in their home in the village of Tanworth-In-Arden. The sadness of Nick Drake’s early death at the age of 26 and then subsequent commercial and critical success is a story people live in fear of being repeated. A Vincent Van Gogh story of unrecognised genius slaving away for years only to be ignored. Unfortunately this is one more comparison between Nick and Molly as this release comes 20 years after her death in July of 1993. The Drake family tree history continues in that these tracks have been lovingly restored by Nick Drake’s sound engineer John Wood with Nick’s good friend, mentor and producer Joe Boyd describing them as the “missing link in the Nick Drake story”. The underlying sadness in much of Nick Drake’s work, particularly the later Pink Moon era recordings, is present here. But rather than being a morbid or depressing presence, it in fact comes across as a warm, rewarding comfort. You can hear where Nick Drake came from, the music and the personality that he grew up around. The love and beauty in his mother’s voice will make you smile and be thankful that in Nick Drake’s too short life, things were not always so sad. 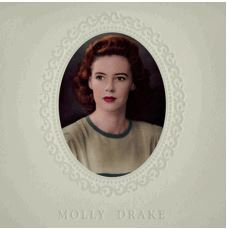 Molly Drake’s self-titled album is available to buy now.